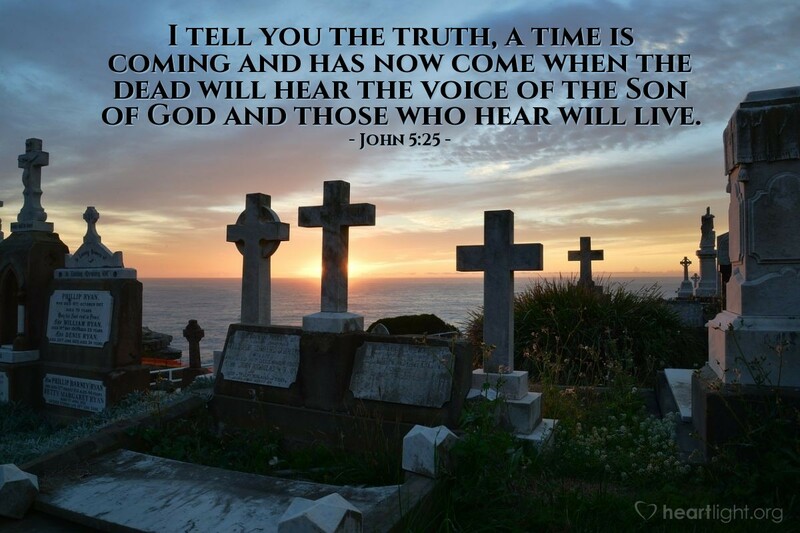 I tell you the truth, a time is coming and has now come when the dead will hear the voice of the Son of God and those who hear will live. Aren't you glad that not even death can stop us from hearing Jesus' promised words to us: "RISE!"? We will hear his voice and live with him forever. That sure puts a lift in my future plans; what about you? Thank you, Almighty God, that Jesus' resurrection demonstrated your power to destroy death. I have confidence in your Son's promises to return, to raise me from the dead if I die before his return, and to take me home to be with you. In the Savior's name. Amen.